Outreach projects are a way that archaeologists can connect with and inspire the public and is fast becoming an integral part of archaeology, and its importance is on the rise. This is more than just mumbling welcome to the public, it is full engagement on any level, as the end result of any project should be based on the understanding that archaeology is for all and that includes the wider community. Learn how to enthuse, to communicate and to talk to people from a wide variety of audiences, using any medium that suits. PRINCIPLE: Understands best practice for working with diverse communities and audiences. PRINCIPLE: Have enough knowledge regarding the site that the individual can answer questions from members of the public and other visitors. Novice – Is able to direct the visitor to additional information sources and provide a basic overview of the project or site. Competent – Can explain to the visitor an overview of the site and is able to provide answers to many of the questions regarding the archaeology. Proficient – Will be able to confidently explain the site, the reason why the work is taking place as well as answer questions regarding the project and the periods that are being examined. Novice – Can assist in taking site tours with a more experienced guide. Proficient – Will be able to confidently and safely take a group of visitors to various locations around the site, explaining the various areas and the current work, including the overall site narrative. 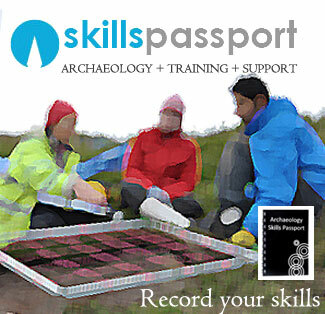 Novice – Can assist in working with a more experienced archaeologist leading a school group activity. Competent – Is able to work with children in a formal activity with supervision and overall guidance. Proficient – Will have a full background check and be able to independently create classroom tasks relevant to the project and curriculum – liaising with teachers to provide a learning outcome. You are the public face of archaeology so never talk down, or ignore people, and listen to what have to say as it may be useful. Try to have a broad knowledge of the subject – so you can answer most questions, but do not be scared to say you do not know – BUT will find out.